The CBD and South East Sydney Light Rail project has moved into the new construction phase scheduled to take place around Circular Quay. The new light rail network for Sydney will travel 12km between 19 stops, and will extend from Circular Quay along George Street to Central Station, through Surry Hills to Moore Park, then to Randwick and Kingsford via Alison Road and Anzac Parade. 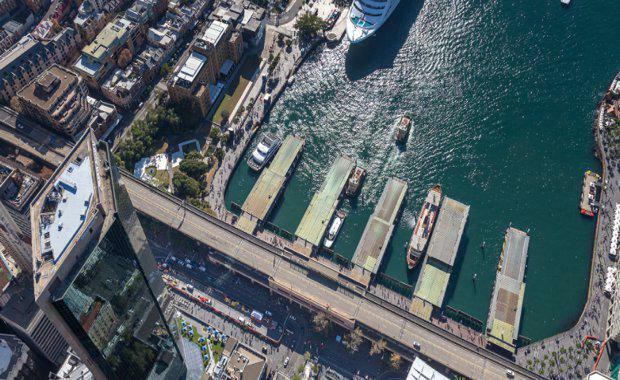 Coordinator General Marg Prendergast said diverting traffic over George Street in Circular Quay will give the public a glimpse of how construction has progressed so far. “Light rail construction is really coming along with more than seven kilometres of track installed so far, more than one kilometre of which is in the CBD,” Ms Prendergast said. As major work takes place motorists were advised to plan for upcoming traffic changes around Circular Quay, including traffic returning to part of George Street. From 7 July , Alfred Street between Loftus and George Streets, and Loftus Street between Reiby Place and Alfred Street will be closed due to light rail construction. To ensure access to the Rocks precinct is maintained, one northbound lane and one southbound lane will be opened on George Street between Grosvenor and Alfred Streets. Finishing works, including road work and installation of street furniture and trees, will continue alongside traffic on George Street between Grosvenor and Alfred Streets. This will involve ongoing lane changes as work progresses on either side of the road. As the location of the Circular Quay terminus, most of Alfred Street will eventually be transformed into a leafy, traffic-free pedestrian boulevard. The Circular Quay terminus will improve access to the popular precinct, providing customers the opportunity to interchange between ferry, train, bus and light rail. The CBD and South East Light Rail will provide reliable high frequency ‘turn up and go’ transport services from Circular Quay to Randwick and Kingsford by early 2019.